Located in the southern tip of Baja California, Cabo San Lucas is one of Mexico’s top tourist destinations. Known for its scenic beaches, it is also considered as one of the best wedding destinations in the region. For couples planning a destination wedding, the number of places to choose from is endless but Cabo San Lucas is something special. During wintertime, whales are seen at sea bearing their calves in Cabo’s warm waters, making the Sea of Cortez their home after swimming thousands of miles from Siberia. Spotting these whales from one of Cabo’s most romantic spots –El Arco can be quite magical. The infamous arch is part of the place locals call Land’s End. El Arco stretches right into the spot where the Sea of Cortez intertwines with the Pacific Ocean. On most days, waves fill the bottom of the arch but it clears up every couple of years making it possible for tourists and locals to see a small beach under it. Getting on one of Cabo’s sunset cruises can bring you closer to the rock formation. With its tropical desert climate, Cabo San Lucas enjoys 300 days of sunshine every year making it a great place for weddings. The town has an average temperature of 78 degrees F. From May to September however, the temperature in the area can reach as high as 100 degrees F.
Formerly a sleepy fishing town with only a few bancas on its waters, this coastal balneario (resort town) has become one of the most coveted vacation spots in Mexico and has also made its mark in the wedding industry because of its beautiful Cabo weddings. Its dramatic views of the sea, the mountains near the coast, and the desert make it a perfect place for romance. Its beaches feature rocky shorelines but there are great spots for swimming such as Playa Medano. While Medano Beach is often crowded during peak season, from May to September, one could say that it’s as quiet as it was before the place became a tourist destination. When the sun finally sets in the coastal town, couples can look forward to Cabo’s bustling nightlife. The beauty of this part of Baja California makes it the perfect place for Cabo weddings and basically the reason why Cabo weddings are so popular not only in Mexico but in nearby places as well. Cabo weddings have a distinctive flavor and a type of intimacy that brings together romance and the beauty of nature. It’s not just the beauty of Cabo that makes it special because this resort town has top of the line amenities and services. It is home to the best golf courses in Mexico and has a number of the country’s best spas as well. Restaurants that serve anything from traditional Mexican cuisine to sushi are also available in Cabo. And if you are in the mood for some shopping, the area has shopping destinations that cater to those who want to bring home authentic Mexican products. The shopping locations in Cabo San Lucas and the Corridor also have shops that sell items that are closer to home. What is great about Cabo is that it’s not just a prominent destination for weddings but is also a favorite place for honeymoons. Frequented by Hollywood celebrities, Cabo San Lucas’ charm is definitely undeniable. What makes Cabo weddings a wonderful choice are the wedding services. Cabo’s wedding planning services are already in place making it a thriving industry in this part of Mexico. 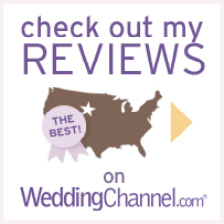 This makes it possible for couples to have a wedding tailored fit to their wishes and their style. Cabo weddings are often described as exquisite because venues in this Mexican tourist destination offer the perfect ambiance for romance. There are also a variety of romantic spots that can provide a scenic backdrop for the bride and groom and their guests. To make your wedding as magical as you have always imagined, taking a look at Cabo San Lucas Wedding Packages is a great idea. Wedding packages for weddings in Cabo San Lucas will make your wedding arrangements easier. 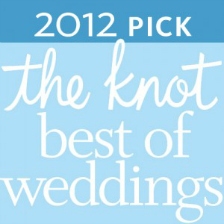 Every bride and groom wants their wedding to be one of the best and most perfect days of their lives. But planning a wedding can take its toll on family relationships and friendships. Dealing with problems ranging from bridesmaids not sending in their measurements on time to fighting over which cake best suits the wedding theme can be quite stressful. Experts say that to get rid of all the stress, there is a need to hire a planner. If you are planning a Cabo wedding, it’s a good idea to look for wedding planners in Cabo. While getting your own wedding planner from home is also a good option, keep in mind that a wedding planner from Cabo knows where the best venues are, where to get the best caterers, and the best florists, among other details. Local information is imperative in destination weddings so be sure to pick the right planner for your special day. Mexico has a number of excellent places to get married Cabo San Lucas being one of the most popular. If you are already decided that you want a Cabo wedding, ensure that you and your partner has all the marriage requirements before you pack your bags. You must have your passports ready because this is the most important document you would need to get married in Mexico or in any other wedding destination for that matter. You will also need your original birth certificates and a copy of those certificates complete with translations from an authorized translator. Your wedding planner can help you with all of this! Aside from the documents mentioned above, your travel permits will also be needed. It is important to note that Mexico has its own rules when it comes to getting married in the said country. The government does not allow marriage between two people who are under the age of 18 without the consent of the parents from both parties. Blood tests are needed for the Marriage Application form and these tests must be done in the country. For more details, you should contact a destination wedding specialist or ask your wedding planner to arrange this for you. The Mexican government also requires four witnesses with valid identification present in Cabo weddings. One must also note that in this part of the world, only civil weddings are legal. If you are planning to get married in a Cabo San Lucas church, this can be arranged by your wedding planner. 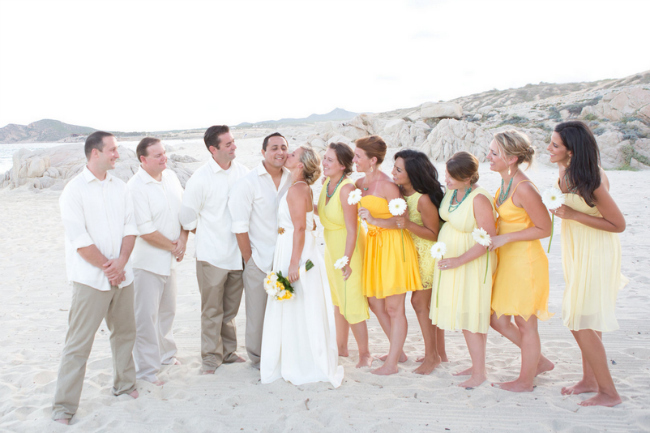 Why Couples Choose Cabo Weddings? Planning Your Cabo San Lucas Wedding!